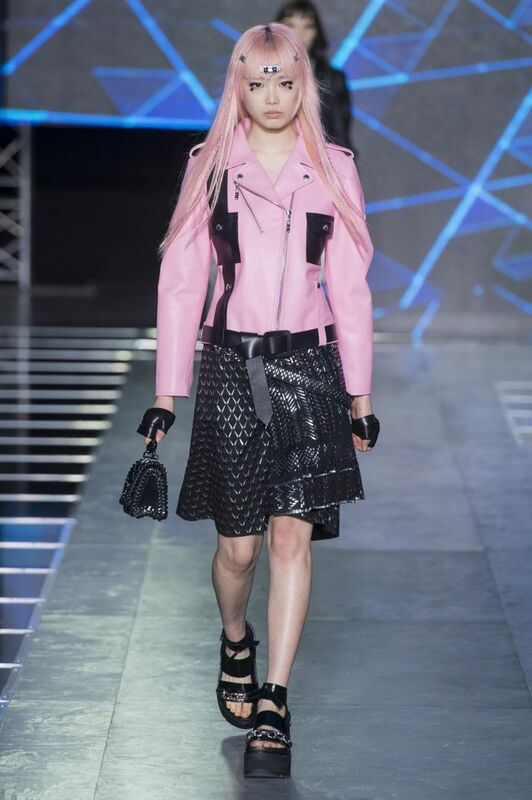 For today’s Louis Vuitton show at the Fondation Louis Vuitton in Paris, Nicolas Ghesquière put a pretty-punk spin on the house’s staples, sending out moto jackets in bubblegum pink and accessorizing with both tiaras and lug-soled loafers. Netted mesh tops and exposed zippers contributed to the edgy aesthetic. It’s a different turn for the designer, but one with all the same It-girl appeal. See 7 handbags carried by the world's most powerful women.